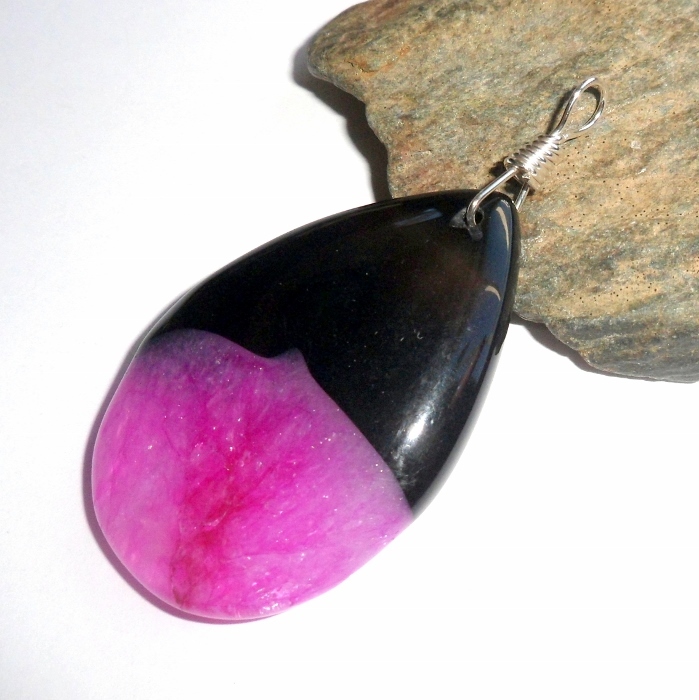 Pink and black agate gemstone set in a sterling silver wire wrapped pendant. Agate is a gemstone associated with the water element and throat chakra used for calming, healing, confidence, and clarity. Agates help decrease anxiety and depression and are considered strengthening and stabilizing stones. The name “agate” come from the Achates River in Sicily (now known as Dirillo River) where agates were found in ancient times. The gem was given its name by Theophrastus, a Greek naturalist and philosopher. 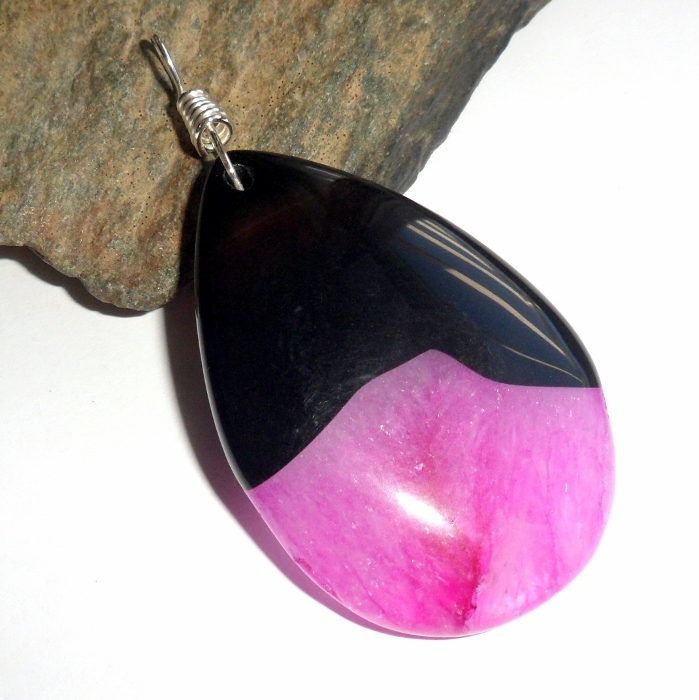 Total pendant drop length 2 5/8 inches. 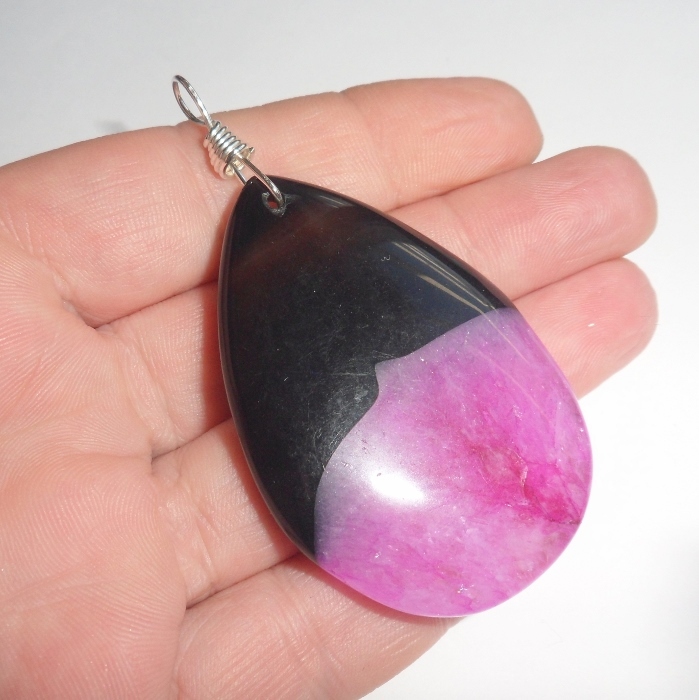 Pendant bail hole is 5 mm diameter and will accommodate any earthegy cord or chain sold separately.